Wine and grilled cheese. Finer. Wine and grilled cheese and jalapeño/habanero-infused tequila. Finest? Yes, finest. 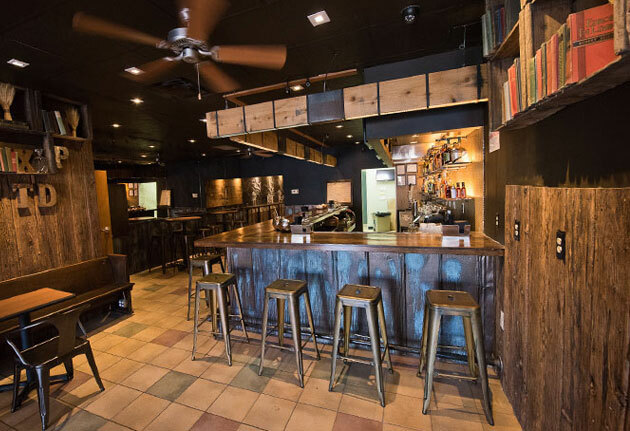 Raise a stem to The Pursuit Wine Bar, the first H Street bar of its kind, opening on Saturday. Yeah, so... wine, infused spirits, fun foodstuff. Sounds like a good date spot. Bingo. You’ll walk into a long bar with exposed brick and rafters, and some stained glass hanging up. Looks great. But head back to the rear patio, which juts out into the alley. Soon, there’ll be trellised vines hanging over, but for now, content yourself at the long high-top bench. In your glass: pinotage. Pinot noir. Yes. Maybe. Or 48 other wines by the glass from all over. Or opt for a cocktail made with ginger-infused vodka, lavender-infused gin, etc. Should things be moving in a more serious direction (as in, you’re laughing, you’re joking, but inside, you’re... planning ahead), proceed upstairs to the plush lounge, with wingback love seats and heavy curtains on the windows. Here, you’ll order champagne. You’ll order charcuterie. You’ll order choose-your-own grilled cheese from the panini press—dialing them up from seven different breads and cheeses. Just don’t lick each other’s fingers. It’s creepy.